Ever since Super Mario Bros. 3 landed on store shelves, when Nintendo fans hear the word “tanooki” they almost always produce an excited smile and start reminiscing about days spent flying through levels as Racoon Mario. If you were to utter this same word today around these same Nintendo fans you’d probably get a much larger outcry of joy, seeing as the Tanooki Suit is about to make its triumphant return in Super Mario 3D Land. But, have you ever wondered what actually inspired the creation of Mario’s Tanooki Suit? Ever wondered why it is sometimes called the “Racoon Suit” instead? Let’s unravel the mysteries as we take a look at the Tanooki Suit that we know today, and also step into the mysterious world of Japanese Folklore to understand the origins of this legendary suit. Many modern-day Japanese people still retain a rich culture based off of their ancestors’ folklore. Japanese décor is filled with bizarre figurines, elaborate decorations and humorous statues that all take inspiration from ancient times. As the world has become more connected over the past few generations their intriguing culture has quickly spread across the world: food, art, anime, videogames, etc. But when people think of the Japanese influence on video game’s they often think of Japanese Role Playing Game’s (JRPG’s); not the Super Mario Bros. series. As we take a deeper look we find that Super Mario Bros 3’s Tanooki Suit is actually very deeply rooted in Japanese folklore; and just like the source material it comes with a mystery of its own. Before we delve into the history though, let’s take a look at what we know about the Tanooki Suit in the game itself. 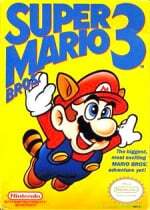 In SMB3, Mario can obtain a Super Leaf item to transform into Raccoon Mario — gaining the ears and tail of a raccoon. The Raccoon Mario form allows for the ability to spin-attack with his tail, fly throughout levels for a short period of time and slowly descend from high falls. Many call this suit “Tanooki Mario,” but to obtain the true form you’ll need to obtain the rare Tanooki Suit item itself. When this rare item is found Mario will transform into Tanooki Mario – wearing a full raccoon suit instead of just the ears and tail found on Racoon Mario – and a new special ability is obtained: the ability to transform into an all but invincible stationary statue. This statue form can also be used in air – Thwomp style — to take out those pesky enemies that can’t be hopped upon to defeat: Piranha Plants, Chain Chomps and so on, and expert players will also find a few other creative ways to utilize this rare Mario form. Where does this mysterious Tanooki Suit get its inspiration from? 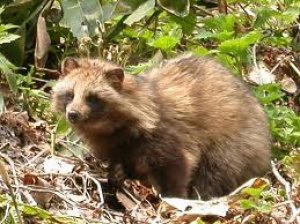 It’s likely that “tanooki’ was originally derived from the Japanese word “tanuki,” which is the common name for the Japanese raccoon dog. One look at these animals and it’s instantly obvious that they were the primary inspiration for both the Raccoon Suit and Tanooki Suit designs in the games, seeing as they have the face and ears of a raccoon, and the body and tail of a fox. But while the tanuki is indeed a real life animal that’s native to Japan, it can also be found throughout the centuries in Japanese folklore; and when we place some of the pieces together we find that some of these myths have actually made it into the games as well. The legendary tanuki has been foretold to be a mischievous animal that is full of joy, but it’s also thought to be capable of being a master of disguise with legendary shape-shifting abilities. One folktale called Bunbuku Chagama speaks of a tanuki who was helped from a trap and transforms himself into a teapot, which he then prompted the man to sell for money as thanks for his help. But when the new owner decided to make tea with his newly purchased kettle he was startled when a half transformed tanuki/teapot came jumping from the fire, as the tanuki couldn’t stand the heat – even in his transformed state. Another story finds a tanuki using leaves to cheat merchants, and many others claim that the only way a tanuki can transform is if he places leaves on his head and chants. Some even claim that these leaves come from the sacred lotus plant of Buddhism – which in some forms looks similar to the Super Leaf in SMB3. Other legends claim that tanukis enjoy tricking scholars by transforming into Buddhist monks. Whatever the legend, the tanuki is always playful and into some mischief of sorts. It’s safe to say that the tanuki legends of the past have manifested into an everyday part of the Japanese people’s lives, and when the tanuki represents so many good things in life, why shouldn’t it? Today tanukis can still be seen in Japan in the form of comical statues in all sorts of locations: temples, parks, restaurants and noodle shops. These humorous statues have various depictions, but they usually all have a few main elements in common: a sizeable tail for strength and steadiness; a large hat to ward off bad weather; big eyes to better see their surroundings; a sake bottle for virtue; a promissory note for trust; a big belly to display bold determination and a friendly smile. These statues are placed to let all those who enter know that they should do so with a cheerful spirit, ready to dine and drink abundantly, and to spend their money generously in the process. Tanuki statues have even evolved into children’s toys and books, cartoons, building designs, and many other variations. It’s safe to say that the tanuki legends of the past have manifested into an everyday part of the Japanese people’s lives, and when the tanuki represents so many good things in life, why shouldn’t it? For those of us outside Japan though, we don’t usually think of the Super Mario Bros. games as being Japanese influenced. Even with the series creator Shigeru Miyamoto being from Japan, the series arguably features a distinctly Western ‘feel’. Despite this, there’s little doubt that Miyamoto enjoys the tanuki legends and decided to incorporate them into SMB3. A deeper look into the Tanooki Suit finds that the transformation into a statue is probably inspired from all of the Tanuki statues all over Japan. The fact that the statue in the game looks Buddha-like is likely to be derived from the legend of the tanuki tricking scholars, as mentioned earlier, by transforming into a Buddhist monk. It seems that Miyamoto definitely knows his Tanuki folklore quite well and also enjoys putting small bits of these myths into his other titles. 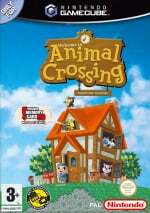 The town owner in Animal Crossing, Tom Nook, is indeed a Tanuki; Tanoombas, or Tanooki-like Goombas, can be found in both Mario & Luigi: Partners in Time and Mario & Luigi: Superstar Saga, as well as Tashroobas, which is a Shroob-like Tanoomba; and Super Mario Sunshine has a race of plump racoon-like creatures called Tanookis on Isle Delfino. Lastly, by playing as player two in Super Mario Bros. 3, it’s actually possible to become Tanooki Luigi as well. While it seems we’ve uncovered the truth behind so many myths so far, it’s Miyamoto that has had the last laugh and left us with one last Tanooki mystery to solve for another day. It’s no myth that Super Mario 3D Land has received Miyamoto’s Tanooki treatment and seeing as we’ve already gotten our hands on that game and given it a 9/10 review score, Mario fans have a lot to be excited about as they take to this new 3D adventure. Mario indeed adorns the famed Tanooki Suit in this new adventure once again, but even though the physical appearance of the suit remains intact, not all of its abilities have made the transition. The raccoon tail can still be used to swipe enemies and descend from high falls as it does in Super Mario Bros. 3, but we’re no longer able to fly or transform into the Tanuki Statue form. This time around though, the raccoon tail does give the ability to hover for extended periods of time, so there’s still a flying element of sorts featured here with the Tanooki Suit equipped. There is one baffling thing that we’ve found that doesn’t add up to the groundwork that the previous games laid before it, as the Super Leaf now transforms Mario into Tanooki Mario instead of Raccoon Mario as before, but maybe it’s the new addition of eyes on the Super Leaf that gives it this newfound power? While it seems we’ve uncovered the truth behind so many myths so far, it’s Miyamoto that has had the last laugh and left us with one last Tanooki mystery to solve for another day. Now that we understand the background behind the famous suit, don’t think that this is all the 3D Tanooki goodness you’ll be seeing for a while. Not only are there enemies in Super Mario 3D Land that are Tanooki equipped (e.g. Tanoombas), but for those of you in North America who are accustomed to watching the Nintendo Show 3D with the lovely Jessie Cantrell in the 3DS’s eShop, you’ll most likely already know that the Tanooki has raced its way into being featured as a new power up in the upcoming Mario Kart 7 – giving your kart a tail for devastating spin attacks against your opponents. With the current resurgence of all things Tanooki, you can now boldly step forth into these newly powered adventures with a new air of enlightenment in the origins of the suit and the legends behind it. 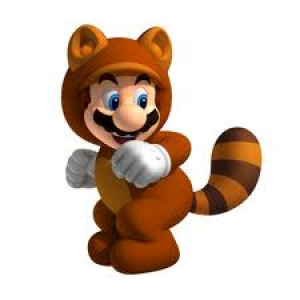 One thing is for sure though, the next time you hear someone mistakenly call the Raccoon Suit the Tanooki Suit, or vice versa, you can proudly show-off your knowledge into one of – if not the most – famous Mario suit(s) of them all. With all of the Tanooki love in the air these days, where do you think we’ll see the mythical creature appear next? I never really thought of the similarities of tom nook to a tanuki/tanooki. 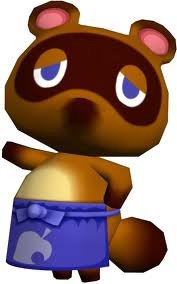 @jdkipfer Well I'm just saying his is is TOM NOOK it pronounces like TANU so yea. You forgot about one aspect of the tanuki of legend, Chris, but in order to keep this discussion G-rated I won't mention it. Though I suppose they've got to have pretty big ones to do the things they do... charging ridiculous rent the instant a stranger walks into your town, sheesh. I always wondered what the heck a Tanooki was. For that matter I never heard of a flying Racoon. Leave it to Nintendo to have such quirky and Whimsical things in their games. Now tell us what a Kuribo is? As in Kuribo's shoe. Same with "Jugem's cloud" and the "NokNok shell". Lakitu is Jugemu and Koopa Troopa is Nokonoko in Japanese. The article says that you the statue transformation isn't in SM3DL when there is another version of the Tanooki suit that enables you to do this transformation but this is still a well-written article and was a good read. @NintendoPurist I assure you, it wasn't from the lack of knowledge. Boy, Nintendo sure is going a long way to try and cover Mario's furry fetish. Ah, I read something about this a few months ago. 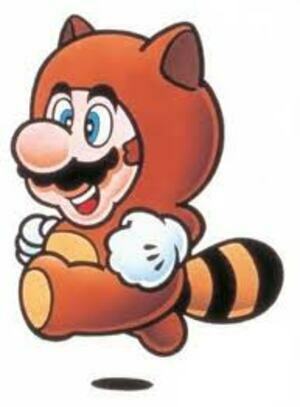 The Tanooki suit is a pretty good demonstration of why I love Nintendo gaming. As a fan of Japanese culture, the presence of light-hearted and quirky folklore references like this add so much character to a lot of what Nintendo does. I'm really looking forward to trying the new suit out in Super Mario 3D Land as well. I don't see why most US media still decides to change all instances of tanuki to raccoon. The differences are obvious, and it's one of the more well known parts of Japanese folklore (partly thanks to Nintendo). @LordJumpMad: Maybe it's loosely based on the "Rabbit In The Moon" story? @Skotski Some of them are so big that they carry them over their shoulder like a travelers pack. Is statue Mario flipping the bird 0_o? I'll be the one to say it then. Tanuki are renowned for their prominent scrotum and testicles. Both are scientific Latin words, but all the same, I hope no-one is offended. Tom Nook is a tanuki? ...that's not his tail guys. How DARE you, sir? I can't believe you had the balls to mention those . . . THINGS . . . here! The Original Tanooki Suit is my favorite!!! Nice article. 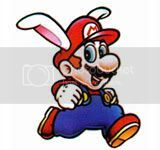 I think Mario must have something special, since the Super Leaves only gave a tail to all the enemies, but he is still getting the whole suit. 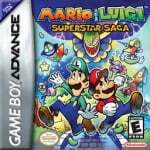 As someone who had been away from 3D Super Mario for a while, what attracted you about this game, Tezuka-san? Tanooki Mario, I think. I was the one who made Tanooki Mario for Super Mario Bros. 3, but I think this game displays Tanooki Mario's features much better than in 2D. Nice feature! However, if you can't turn into a statue the artwork can be found misleading. I mean, it definitely shows a Luigi statue! Great read there. 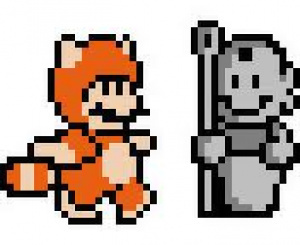 The Tanooki suit was always my second favorite suit in SMB3 right after the Hammer Bros suit. Mario isnt the only video game character for a fetish for the Japanese raccoon dog. If you watch the opening of Super Street Fighter 4 Ibuki has one of them for a pet. They've played it, so perhaps they know better than I, but I've read at other sites that there is another, rarer leaf that gives you the statue ability. actually, reverse that. it's late, i'm tired. In the anime Inuyasha, there's a recurring racoon dog demon character (as well as a major fox demon character) with those abilities (well, except that last sexual-based ability). Neato Article. Thanks for Sharin'. @tvnewsguy Yes, she's enchanting. I was just catching up on the last two episodes of her show and she is pretty, cute, cool, etc. The only raccoon I'll be playing as next week is of the Rocket variety. @BulbasaurusRex Yep, and another well-known anime character character is based loosely on the Tanuki: Naruto. But his design is based off of the Chinese legends of the Tanuki, which are much darker than the Japenese folklore that inspired Mario's Tanooki Suit. @sinalefa Good spot! In all my research I didn't find that bit of info, but that's what we have you guys for! To all of the comments above about the omission of one certain Tanuki part; Nintendo obviously left it out of their games for a reason and we did here for the same reason. In the Japanese culture it's an acceptable and humorous depiction, but it's not quite the same to other cultures. Surprised the article didn't mention anything about tanuki using their giant balls to attack things. Ever see Pom Poko? Great movie, stars tanukis too. "but I've read at other sites that there is another, rarer leaf that gives you the statue ability"
That could be the case! I also read once that Tanooki's are regarded as protecters/creatures who warn you for danger. That's why you regularly meet a Tanooki at the start of a side-scrolling level of Mystical Ninja (the first Goemon game on the snes, if I am right)! "The raccoon tail can still be used to swipe enemies and descend from high falls as it does in Super Mario Bros. 3, but we’re no longer able to fly or transform into the Tanuki Statue form." Also it's freaking everywhere. Like, every level. Really takes away from some of it's uniqueness. EDIT: We've found that the Statue does indeed exist in Super Mario 3D Land. It's only available in the Special World and only when you find the rare grey Leaf! Sneaky, sneaky Nintendo, but we love you for it! So...what exactly is Luigi's Tanooki suit? Some kind of fox? And what in Japanese folklore does that reference? It reminds me of the Keeton you can encounter in Majora's Mask. An Interesting read indeed. It's always great to see some deeper stuff in games. Looking forward to more features in this vein. "EDIT: We've found that the Statue does indeed exist in Super Mario 3D Land. It's only available in the Special World and only when you find the rare grey Leaf!" Ah, that clears it up! neat i didn't how deeply influenced the game was by Japanese culture. Fascinating read. Obviously, Nintendo games are heavily influenced by Japanese culture, seeing as the parent company as well as the majority of the developers are also Japanese. Just out of curiosity, how does the Japanese Tanuki or "Raccoon Dog" compare/measure up to the North American Raccoon? I read on Wikipedia that the North American Raccoon is decended from the "Lesser Panda" (whatever that is) and crossed over the bearing strait into North America over a few million years ago, so it apparently shares much more of it's DNA with Panda bears than Cats or Dogs. That would explain the dark circles around the eyes. If you've ever seen a Raccoon's paws up close, they have highly articulated hands quite unlike the stubby paws of cats or dogs. So if the NA Raccoon originally migrated from the far East, I guess it makes sense that one of it's closer relatives lives in the Land of the Rising Sun. Like tanukis in Japan, raccoons also have a deep significance and reverence rooted in Native American culture and folklore. PS: I LOL'ed when I read the comments about the Tanuki's prominent, um, sack! Someone should send this article to PETA so they can their fat trap and stop looking so idiotic. Maybe they should do some research on the tanookis in Japanese culture. @StarDust The Tanuki is more closely related to the badger than anything else (if I remember correctly).